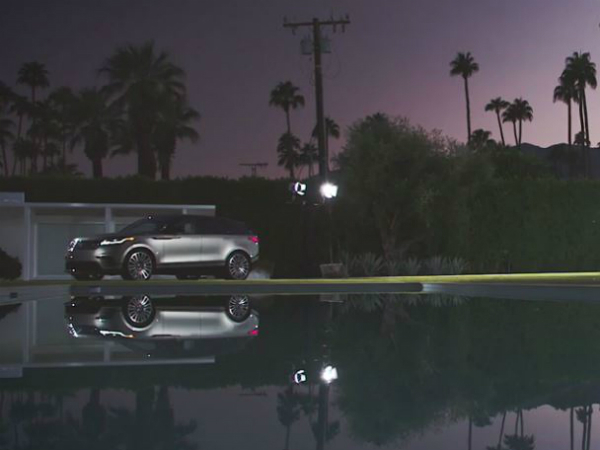 The North American press launch of the Range Rover Velar has just wrapped-up in Palm Springs, California, where more than 50 journalists from the US and Canada attended a three-day drive across the winding desert and mountain landscape. Guests had the opportunity to test all three North American powertrain derivatives of the Velar – D180, P250, P380 – on a variety of high/low-speed tarmac roads, as well as drive petrol V6 models on more than two hours of exciting off-road forestry service trails with the help of the North American Land Rover Experience team; all before arriving for an event at an abandoned desert mining homestead dating from the turn of the 20th century. Palm Springs is home to some of the world’s best examples of the mid-century modern style of architecture; a design movement that places a premium on strong but simple design elements highlighted by the way the materials themselves interact with one another in the purest way possible. Much in the same way, the clean, reductionist lines of the Velar give way to a visual simplicity that combines to create a design of timeless elegance. On the first evening of the drive program, guests were shuttled to the William Holden Estate – one of Palm Springs’ best examples of mid-century modern design – where they were first introduced to the Velar and given a presentation from Land Rover Chief Design Officer, Gerry McGovern. Win a JLR used privilege vehicle for a weekend!